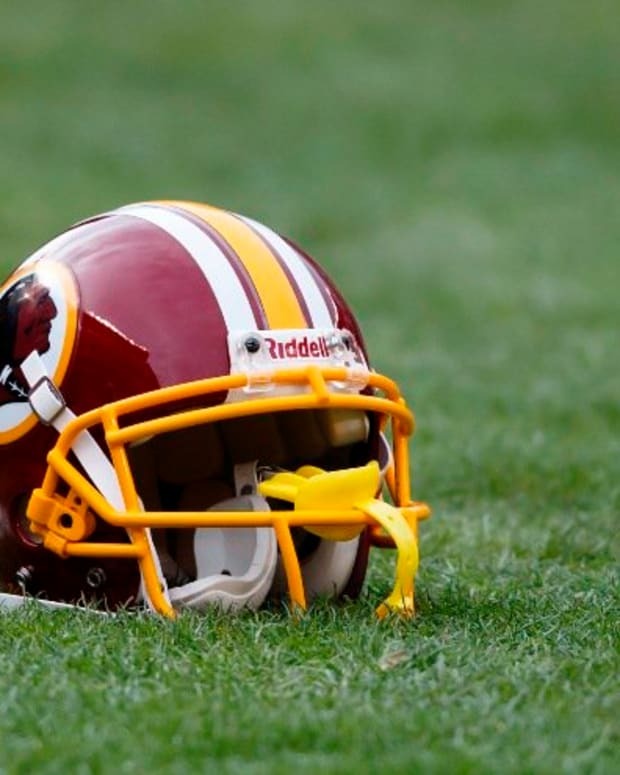 If DC could vote on a team, would they have voted the Redskins out of town? Probably. The “Redskins Rule” dictates that when the Washington Redskins win their last home game before the Presidential elections, the incumbent is reelected. This ended in ’04 when Dubya won reelection after a Redskins’ loss against the Green Bay Packers. Coincidentally enough, both Redskin Rule teams that lost and the incumbent was still reelected hail from Massachusetts. Barack Obama had to have been cheering for the Carolina Panthers, huh? But es macht nichts. The &apos;Skins lost and Obama was reelected. Now one’s got to wonder: If Obama had control over his home team (no, not the Bears), would he do something about their dismal 3-6 record before the election? The ‘Skins sure thought they had it all figured out. They signed Heisman Trophy winner Robert Griffin to their historically awful QB position, and he has been a star, no doubt. But lacking a solid line in front of him, a lot of his scrambles look unscripted and unorchestrated. Still, he has passed for just shy of 2,000 yards so far this season and rushed for 529, pretty much carrying his team. Mike Shanahan gave up on the Redskins’ season last week when he announced the rest of the season was going to be an evaluation for the future Redskins team. The very next day he took that statement back at a press conference before the media could even ask him about it. “From my perspective, I’m not saying I did a great job of explaining,” he said. “To think ... the season was over with was completely ludicrous.” But the fact remains: Shanahan is 14-27 in 41 games since taking the reins in DC. Yes, he’s had to rebuild a team that hadn’t been aging well. No, one can’t predict nor account for injuries to key players. WR Pierre Garcon’s foot injury gives Griffin one less target (Garcon still leads his team in YDS/REC with 19). The offensive line has been inconsistent – both in its make-up and play. Griffin has had to rush out of the pocket by design or in panic mode 81 times, but he has been sacked 20. A heralded defense that showed a lot of promise (both after the draft and in the preseason) is letting go of 397 yards/game. They are giving up a division-worst 27.6 points/game. In fact, a look at the numbers makes you wonder how the Redskins are as good as 3-6. At 3-6, the ‘Skins still have a chance to turn the season around and maybe even win their division. They face fellow division mates (and equally losing teams) Dallas and Philadelphia again, and a floundering Giants team. The division leader Giants have a tough end of the road haul. They play Washington on Monday night, and then they face Cincinnati, Green Bay, high-flying Drew Brees and his up and coming Saints, unstoppable Atlanta, Baltimore and finally the Philadelphia Eagles. This presidential election cycle may have bucked tradition for the second time in history, but Hogs fans in and around the Beltway hope to turn “Redskins Rule” into a chant, not a superstition. Vikings, Redskins, Seahawks: Which NFL Playoff Team Should Falcons Fans be Cheering For?